Why my stainless steel rigging stick to a magnet? Magnetism is sometimes a factor in deciding which fastener to use. If a 100% nonmagnetic stainless steel fastener is required steps can be taken to reduce the amount of cold working done to a part, e.g. thread cutting vs. rolling, as well as possibly annealing the part after all cold working processes. Without a complete annealing treatment of the post cold worked part, it will never have zero magnetism. At times, an additional annealing process may not be possible due to material properties, economic reasons, and time constraints. A balance of allowable magnetism and economic requirements must be reached in accordance with the end user. 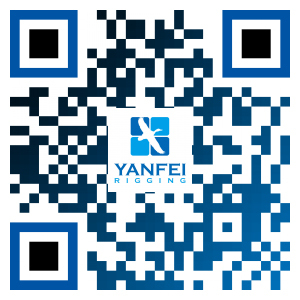 Contact YANFEI SALE TEAM for more details. Stainless steel fasteners being nonmagnetic is also one of the largest misconceptions amongst users. This document will explain why most stainless steel products are at least slightly magnetic. There are five classes of stainless steel (ferritic, austenitic, martensitic, duplex, and precipitate-hardened) and only one is nonmagnetic (austenitic). However, the austenitic class just happens to include the most widely and universally used types of stainless steels in the market. The first four classes are defined based on the microstructure of the metal with the last class, PH, based on its heat treatment. Microstructure is important because this is what gives the stainless steel its magnetic properties. The table below provides a brief overview of the classes of stainless steel as well as some properties of the materials. How Does an Austenitic Stainless Steel Become Magnetic? As stated before, the microstructure of the metal is what gives the steel its magnetic properties. If the stainless steel chosen was austenitic, e.g. type 316, and a portion of the microstructure were changed to any one of the other four classes then the material would have some magnetic permeability, i.e. magnetism, built into the steel. The microstructure of austenitic stainless steel can be changed by a process called martensitic stress induced transformation (MSIT). This is a microstructural change from austenite to martensite and the transformation can occur due to cold working (the process by which many fasteners are made) as well as slow cooling from austenitizing temperatures. After cold working or slow cooling an austenitic stainless steel will have an appreciable level of martensitic microstructure. Due to martensite being magnetic, the once nonmagnetic austenitic stainless steel will now have a degree of magnetism. Though it may not seem like it, all fasteners can go through quite a bit of cold working prior to seeing service in the field. Cold working fasteners occurs in the wire drawing, forming, and thread rolling processes. Each of these processes will, typically, create enough martensite to produce a measurable degree of magnetism. What is the difference between Natural Rubber Tarp Strap and EPDM Rubber Tarp Strap? What is a chain binder? Which are the most commonly grade of stainless steel? How to Choose a Lifting Sling?